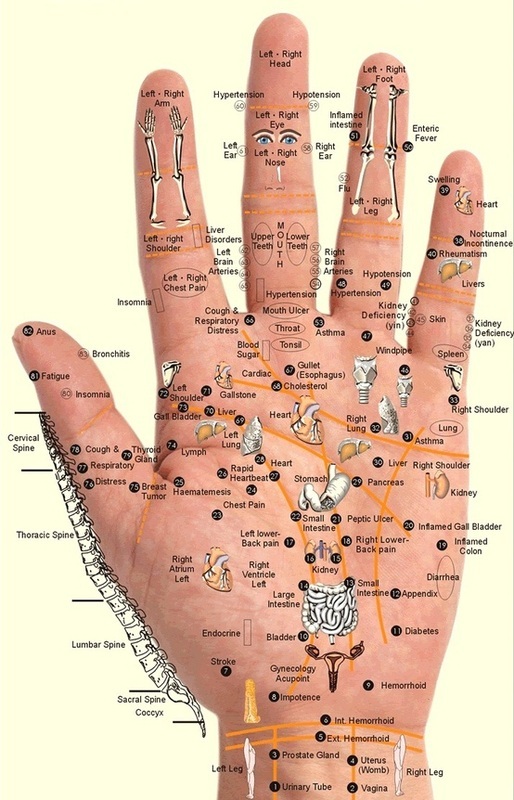 There many important acupressure points in the hand; And these points are extensively connected to different organs of the body. As you can see in this figure, these points are easy to find by yourself. Many believe in the benefits of a good massage on hands, from reducing headache to inducing labor; and simply trying for once is not a bad idea. Press your right palm with thumb for 5 seconds and release for 3 seconds in the affected point. repeat for 2 - 3 minutes for 5 to 10 days. You will get relief. Don't forget to share, it costs nothing, It may be useful to someone. Here are 10 tips for curing bad breath for good, and a tip for recognizing if you have bad breath in the first place. 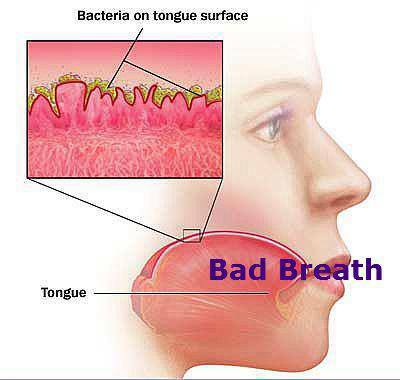 The problem with curing bad breath is that people who suffer from it often don't realize it. Since bad breath is mostly caused by bacteria on the tongue, you can tell if you have bad breath by licking the back of your hand with your full tongue. Wait three seconds, then smell your hand. If it smells bad, you need to take a look at these tips for curing bad breath. Curing bad breath with a salt rinse is a very old cure that has passed from generation to generation. The salt will kill bacteria in your mouth and help heal any gum disease. Just mix 1/2 tsp. of salt with half a cup of warm water, stir well and rinse your mouth with the solution before you go to sleep. Do this for a few days and you'll see that your gums look more pink than red, and you have cured your bad breath. Curing bad breath with a lemon rinse is another alternative, since the high acidic content in lemon prevents the growth of bacteria on the tongue and gums. You can even create a mixture of salt and lemon and rinse before bedtime to cure bad breath. Baking soda has been found very effective in curing bad breath, because the high acidity of baking soda will prevent bacteria from growing on your tongue. Therefore, brush your teeth with a baking-soda rich toothpaste, or just follow with baking soda after your regular toothpaste. You can also gargle with baking soda dissolved in warm water. These two home remedies for curing bad breath work on cleansing your mouth and spreading a fresh scent through it. Chew on sun flower seeds after meals and drink water to help cleanse your mouth and cure bad breath that may linger due to odor causing foods. And munch on mint leaves to spread a fresh scent through your mouth, which will prove effective in curing bad breath in consequence. Probiotics like acidophilus are very effective in curing bad breath when consumed regularly. Eating yogurt rich in healthy bacteria will help in curing bad breath completely with time, so long as you keep consuming probiotics to keep the population of odor causing bacteria in check. Just as with anything else in life, curing bad breath by drinking water is easy and good for you. Water will keep your stomach and tongue hydrated and clean, preventing bacteria buildup and curing bad breath. In addition, curing bad breath with hot, unsweetened tea has been found effective due to the antiseptic properties of tea. While for its high acidic content, Pineapple juice has been found effective in curing bad breath as well. Fenugreek seeds ( methi seeds) have been proven effective in curing bad breath. Simmer 1 tsp. of seeds in 2 cups of water for a quarter of an hour, then strain the tea and drink it to cure bad breath. Be sure to exercise regularly and eat a high-fiber diet that will keep your bowl movements regular and help in curing bad breath caused by constipation. Both cloves and cardamom seeds have been found effective in curing bad breath, especially if chewed after meal times. It may seem obvious, but curing bad breath with proper oral hygiene is an essential starting point. Be sure to floss as well, which will assist in curing bad breath due to gum disease. And choose a toothpaste that does not dry your mouth. And free from chemicals that poison the body. Leave cloves to marinate in alcohol four days Stir every morning and evening After 4 days add the oil It’s now ready to use. 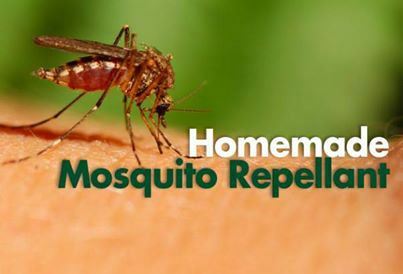 Gently rub a few drops into the skin of the arms and legs. 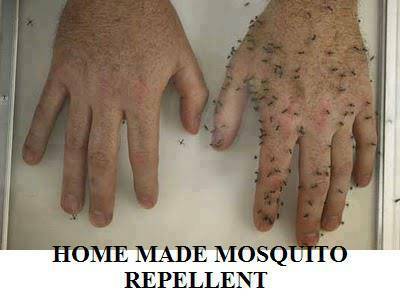 Observe the mosquitoes fleeing the room.Repels fleas on pets too. Here are 10 lifestyle changes you can make to lower your pressure and keep it down. 3. Aim for a weight. If you are overweight or obese, carrying this extra weight increases your risk of high blood pressure. One way to determine if you need to lose weight is to find out your body mass index (BMI). If your BMI is above the healthy range (25 or greater), or if your waist measurement is greater than 35 inches (women) or 40 inches (men), you probably have excess abdominal weight and may benefit from weight loss—especially if you have other risk factors. Talk to your doctor to see if you are at increased risk for high blood pressure and need to lose weight. 4. your physical activity to least 30 minutes of moderate activity, such as walking, most days of the week. You can do 30 minutes in three 10-minute segments. 5. Choose foods low in salt and sodium. Most Americans should consume no more than 2.4 g (2,400 mg) of sodium a day. That equals about one level teaspoon of table salt a day. For someone with high blood pressure, the doctor may advise less. 7. Keep a sodium diary. You may be surprised at how much sodium you consume each day, and the diary will help you decide which foods to decrease or eliminate. 8. Use spices and herbs instead of salt to season food. 9. Eat more fruits, vegetables, grains, and low-fat dairy foods. Check out the DASH diet plan for delicious, heart-healthy recipes and menu ideas. 10. If you consume alcohol, consume moderate amounts. For men, this is less than two 12-oz servings of beer, two 5-oz glasses of wine, or two 1/2-oz servings of hard alcohol a day. Women or lighter-weight people should have no more than a single serving of any one of these beverages a day.